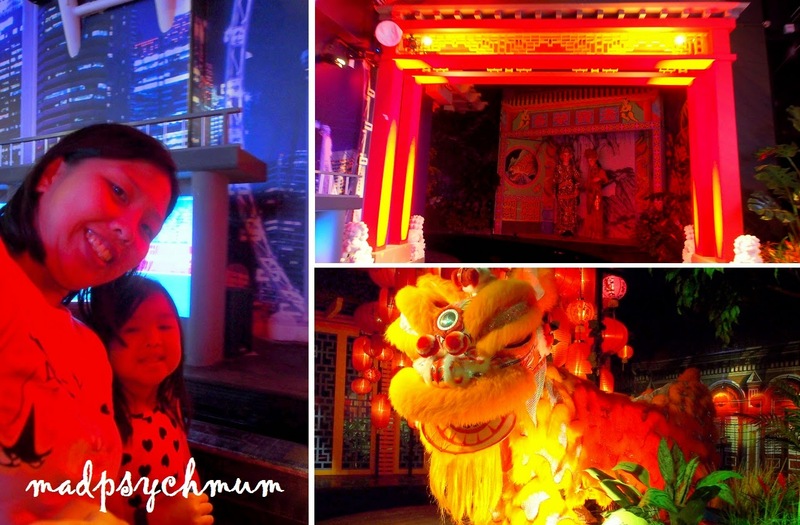 We proceeded to Imbiah Lookout after our swim at Rasa Sentosa to visit the newly re-imagined Images of Singapore LIVE. My mum and sister met up with us there to visit the attraction with my girl and I. The hubby was happy to sit out of this one with Baby Boy (it was time for his nap) as he is not a big fan of attractions in general (unlike me), unless it involves seafood of some kind (preferably live). This is not the first time that I am visiting the Images of Singapore. My secondary school friends and I used to love visiting the attractions in Sentosa whenever we hung out here during the school holidays and Images of Singapore was one of them. It used to be really boring, with tons of statues and a lot of words that is typical of most museums. However, the recently re-imagined Images of Singapore LIVE is far from being boring. 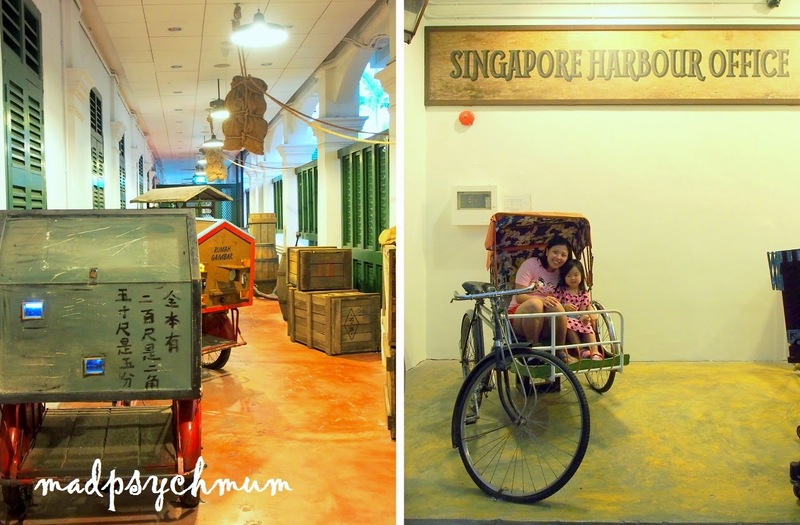 With actors playing the roles of the people who had lived in Singapore in the old days, super cool technology and an abundance of special effects (such as sound and smoke), the attraction promises to engage all of your senses. 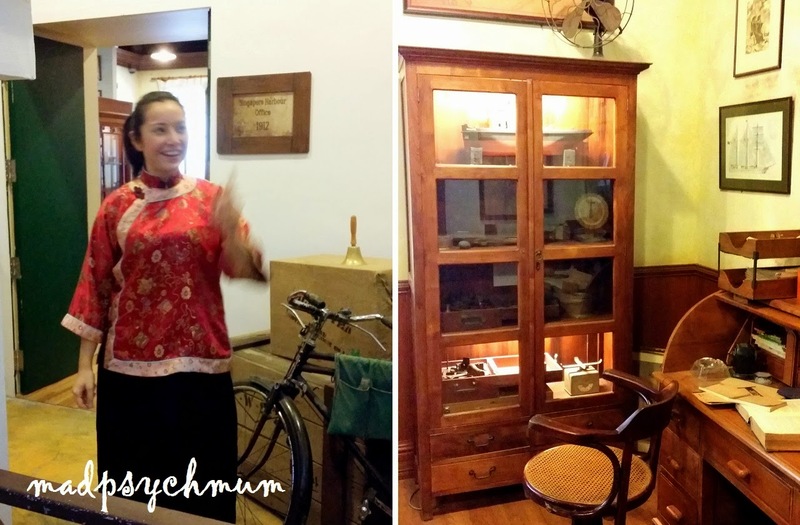 Left: Feels like we are walking in historical Singapore! Right: Girl and I on a trishaw. We were greeted by an actor at the entrance, who began with Singapore as a very successful port. The Spirit of Singapore is a display of everything that we love in Singapore; things that make us who we are, things that we are proud of. 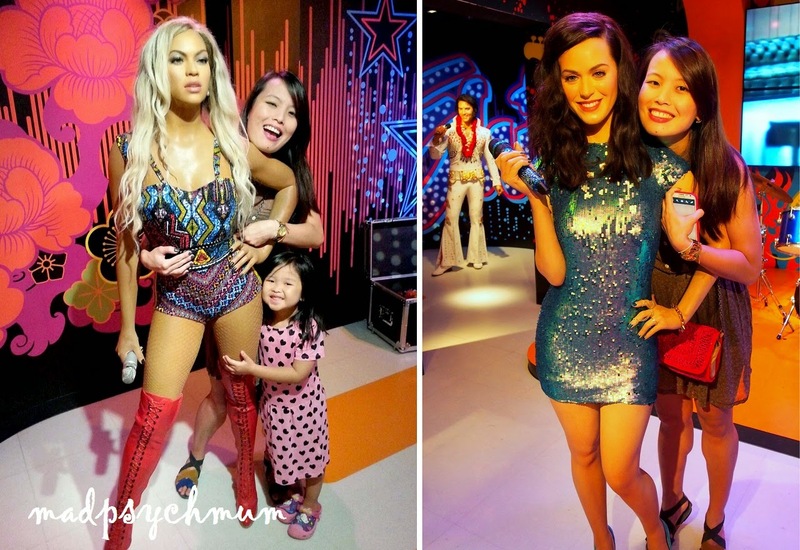 We got off the boat ride and proceeded easily to Madame Tussauds Singapore, which was located next door. 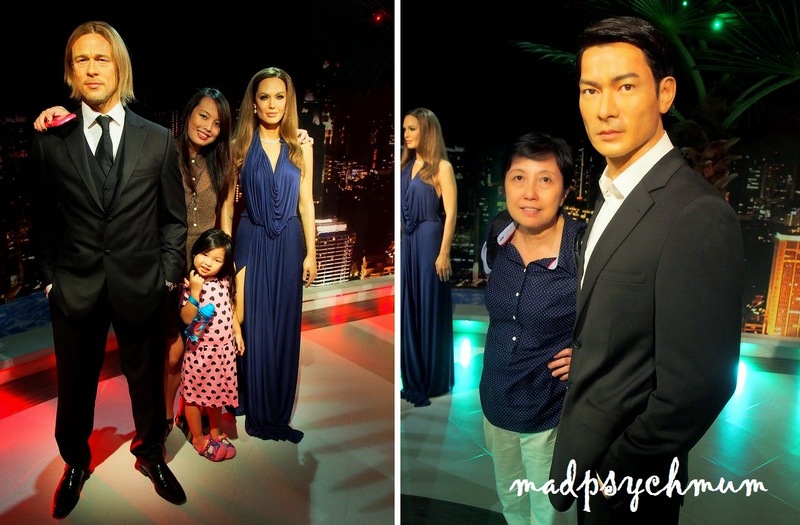 Entry to Madame Tussauds Singapore can be bought together with Images of Singapore LIVE as a package. Our first stop was of course the beloved Mr and Mrs Lee Kuan Yew! Their wax figures were not completed yet when I visited last year. 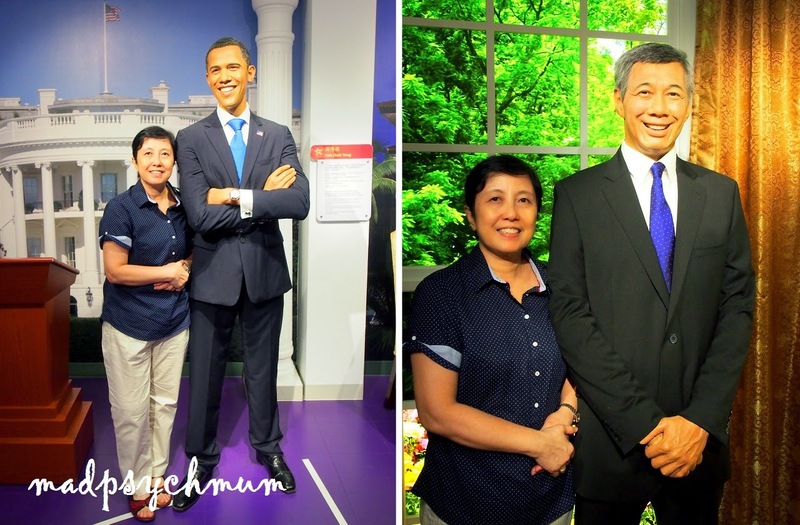 Compared to our experience with Madame Tussauds Sydney, it was obvious that my mum greatly preferred the Singapore version as it contained wax figures of people that my mum actually recognised. 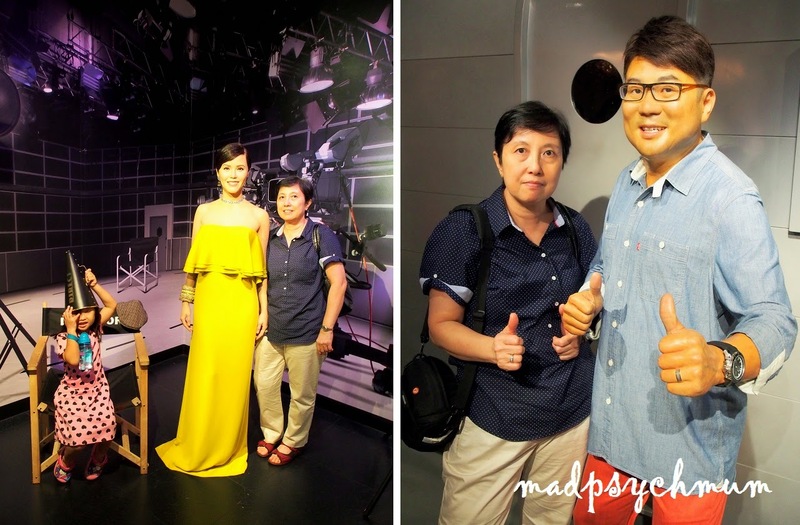 She took almost no photos at Madame Tussauds Sydney but was so much more enthusiastic than usual about taking pictures at Madame Tussauds Singapore (definitely a great attraction to bring your older folks). Right: Sister with one of her favourite singers of all time, Katy Perry (she was ecstatic!). We took almost two hours for both attractions. Hubby was rather impatient as he couldn't wait for us to move on to our next destination: seafood feast (he was excited because it was my treat!). Disclosure: Complimentary entrance tickets to the Images of Singapore LIVE and Madame Tussauds Singapore was received from Images of Singapore for the purposes of this review. No monetary compensation was received; all opinions are my own.